Posted on October 6, 2014 May 22, 2015 , in HIAB Crane. Creating reliable, high-quality truck-mounted equipment that you can depend on is one of the things that make HIAB a leader in the industry. HIAB has now partnered up with Volvo to develop an environmentally friendly next-generation vehicle concept that will change the way you work. At the IAA exhibition in Germany, HIAB revealed the new Volvo FM Euro 6, fully equipped with their most efficient crane and hooklift. In this post, we’ll take a look at why this eco-friendly vehicle is one of the most exciting releases this year for anyone interested in efficiency and power. You may be familiar with the traditional engine power take off, but HIAB has taken it a step further. They’ve included an additional electric engine power take off (ePTO) which will increase efficiency and allow you to do things like never before, like operating the crane with the engine switched off. The crane is powered by rechargeable lithium-ion batteries instead of the truck’s diesel engine, meaning that it is 100% emission-free! It also takes 60-70% less energy to operate than a traditional crane. These features make it an environmentally friendly choice. On top of this, the noise level is reduced by half. You can get more done by working into the night in cities and residential areas, without worrying about noise levels. You can also work inside, free from harmful fumes and noise, and replace scissor lifts, sky lifts, and forklifts with one powerful vehicle. 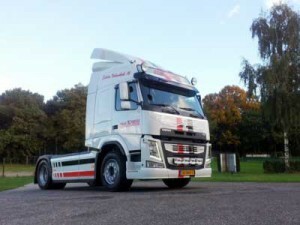 The Euro 6 comes equipped with the HIAB X192 HiPro crane, as you can see on the right. This crane is powered electrically through a plug-in system. The great thing about this is that the crane’s battery can be quickly charged anywhere electricity is available. When you’re not using the crane, the electric pump automatically shuts off to conserve energy and battery capacity. 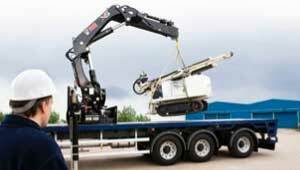 In addition to the HIAB X192 HiPro crane, you also have the option of using the MULTILIFT XR18SL hooklift. This hooklift is 30% more energy-efficient and 3 times faster than a standard hooklift, so you can get more done in less time and with less energy consumption. Plus, the hooklift’s high strength-low weight ratio maximizes its payload and makes projects that much easier. To find out more information about options and availability, call us toll-free at 1-888-799-4422 or email us at info@atlaspolar.com.